Yes, I do think I'm being quite clever with my post title today. You know, in case you were wondering. It has a double meaning and I do adore a good double meaning. Last night, on the advice of a friend, I went to "A Funny Thing Happened on the Way to the Forum" at Weber State University. It's a musical I've wanted to see for years and never had the opportunity until now. Since Handyman Husband doesn't like musicals and wasn't feeling well anyway, I took my fifteen-year-old son. Those of you who are familiar with the show are now shaking your heads in shame, I'm sure. If you have no idea what I'm talking about, let me assure you that "A Funny Thing Happened on the Way to the Forum" is NOT appropriate for a fifteen-year-old boy to see with his mother. Not in the least. And yet, it was incredibly funny. I feel a strange sense of pride giving my son an evening we'll never forget. That doesn't change the fact that I felt an almost overwhelming need to cover his eyes for part of it. I did refrain. But I really, really, really wanted to. I talked about LTUE last week and how it inspired and motivated me. I'm still riding the high from it. The crazy thing is that something inside of me shifted and changed. I don't feel like the same person. I feel like someone who is on the verge of something spectacular. Something life-changing. Do you remember the post I did about my grandma? Where I mentioned the magic she possesses? Like anything and everything is possible. Where my biggest dreams are within reach, I just have to stretch a bit more and great things will happen. It's awing, humbling, and exciting all at once. The funny thing is, I wasn't looking for it. I simply wanted to feel better again. I wanted motivation. I wanted to get out of my rut. So, with that said, I'd like to officially announce that my dreams of becoming published are coming true. 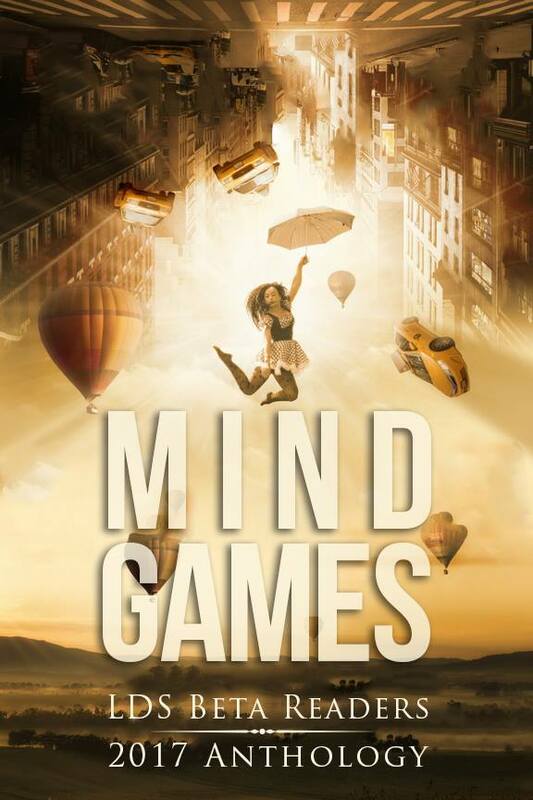 My short story, "The Muse", will be included in the Mind Games anthology coming out on Monday, March 20th. It will be available for purchase as both an ebook and hardcopy. Isn't the cover spectacular?! I'm so excited!!! Excuse me while I crank the tunes and indulge in a happy dance. I'll get you more details and a link to be able to purchase the book as they come available. One step closer, people! And it makes this dream-chasing dragon slayer very happy indeed.